This deluxe one bedroom apartment is fully equipped. 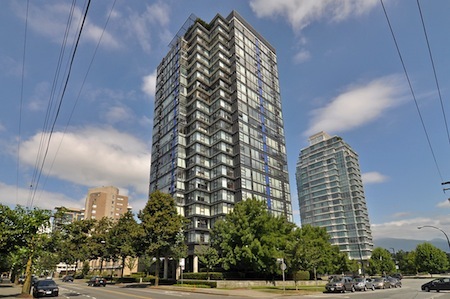 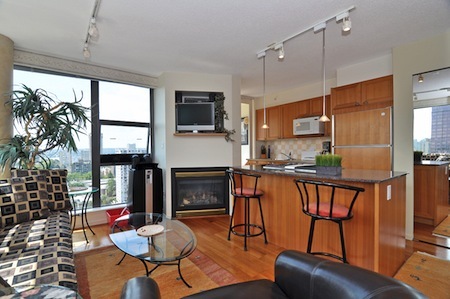 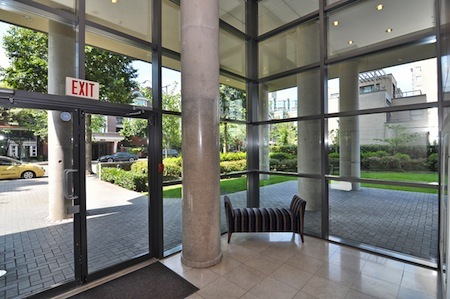 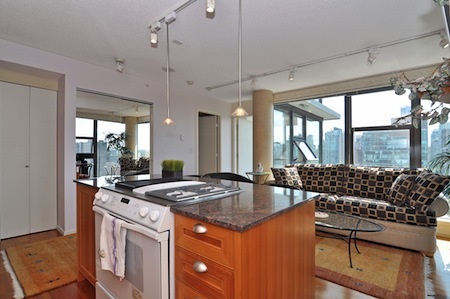 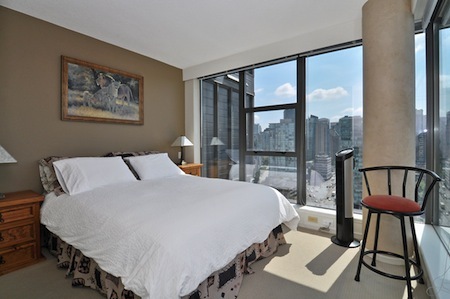 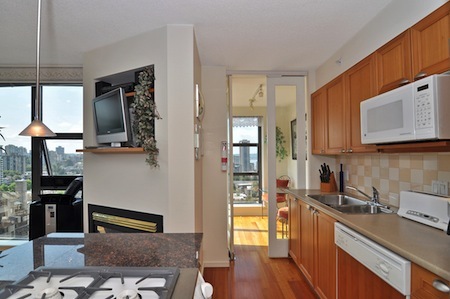 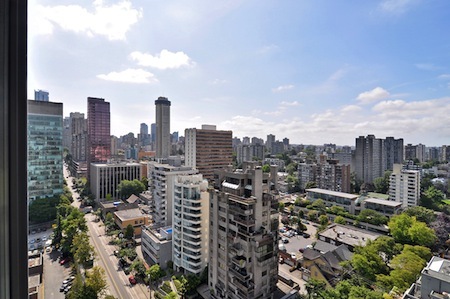 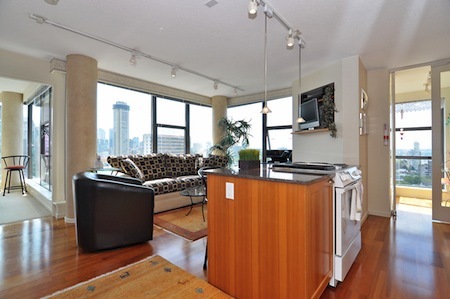 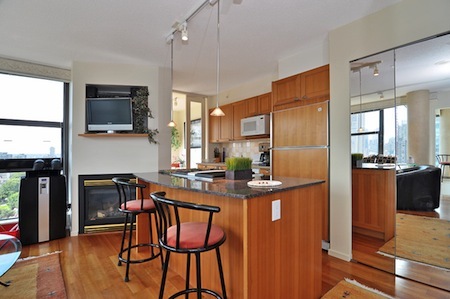 It is situated on the 23th floor of an executive, high rise building, overlooking Downtown Vancouver and English Bay. 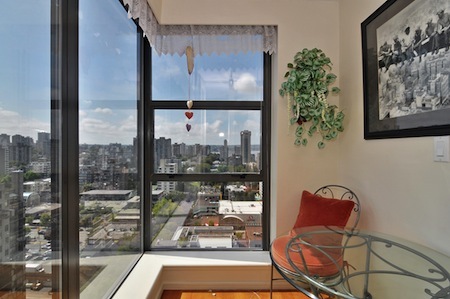 The apartment is ideally situated, only one block from the vibrant Robson Street, directly between Downtown Vancouver and the wonderful Stanley Park. 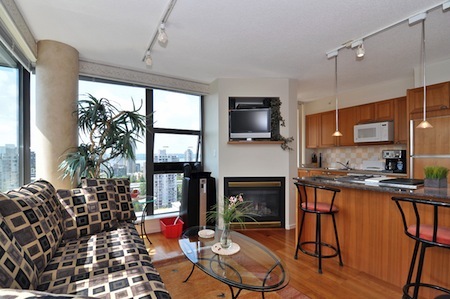 Bike rental is available shortly before you enter Stanley Park. 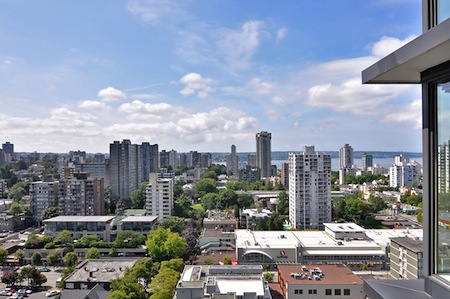 The Downtown shopping area is a walkable distance, along with Vancouver Harbour, English Bay and the entrance to Stanley Park is just yards away. 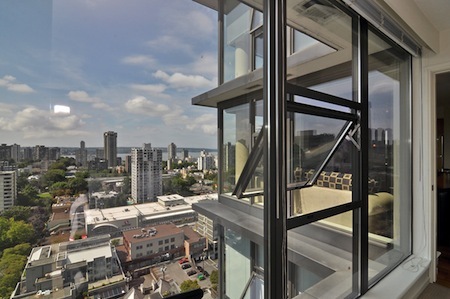 Views are everywhere through floor to ceiling windows. 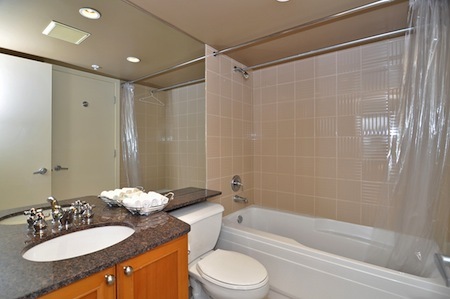 Whether you relax on the coach, have breakfast in the little dining section, prepare your meals in the open kitchen or just before going to sleep in a cozy queen size bed. 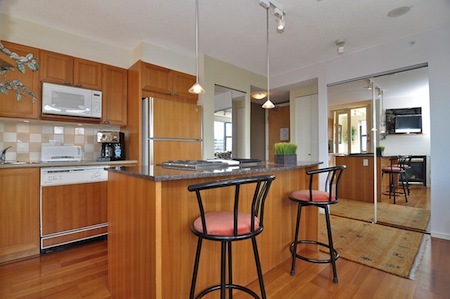 It is a 25 minute drive to Vancouver International Airport and you will be close to city transit and tour buses. 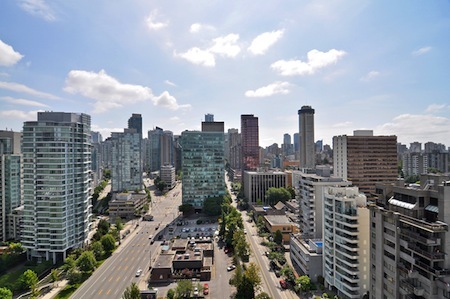 A car can be parked in the secured underground parking zone. 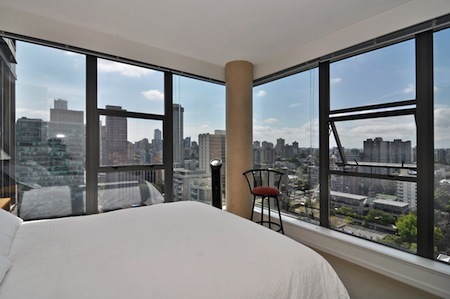 Can sleep 1 additional on couch upon request. 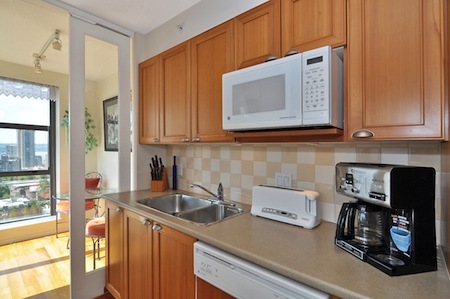 This property was in an excellent location - quiet and safe but with lots of small shops and restaurants. 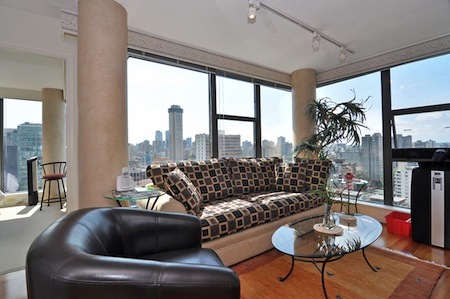 The condo was nicely furnished and has an excellent view of the city - we loved it!